Un-Bedable Vark & Batvark crossover; Batmite and Un-Bedable Vark, “partners”? 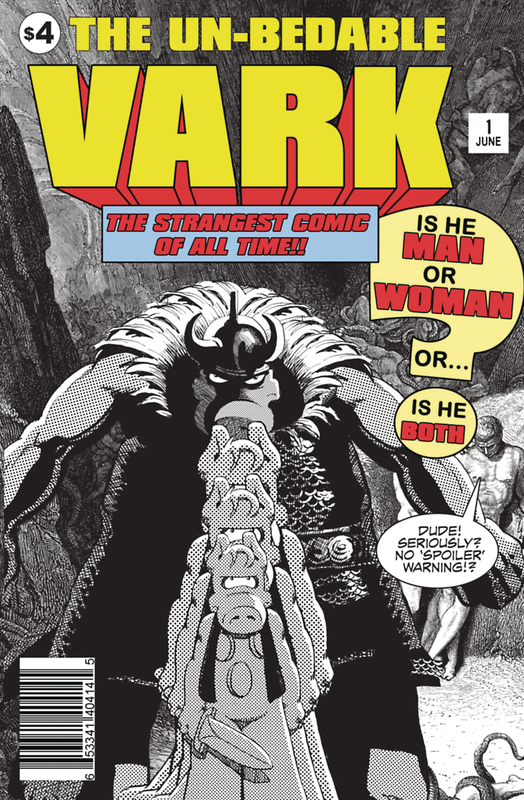 Batmite’s Mom & The End of “Un-Bedable”; Pimping Un-Bedable Vark; Cerebus, Dante & Virgil play Grand Theft Auto; Central Voodoo Grocery Spam; Cerebus buys Twitter; Batvark & Nietzsche Team-Up; Jingles, the Manticore and Minotaur critique Nietzsche; Batvark & The Puzzler’s Macro-Enlarg-O-Ray; Cerebus vs. the Infanto-Throw-a-phobes; “Baby-Throw Shaming”; How Can You Throw a Baby? 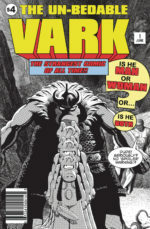 ; Jingles on Puppy-Throwing; The Strange Death of Todd McFarlane’s Grey Hulk; The Manticore recovers from the Homonym Ray; Deconstructing the Batvark Codpiece.